Booking a ticket at FareHawker is very simple, so you have more time for the important things in life. 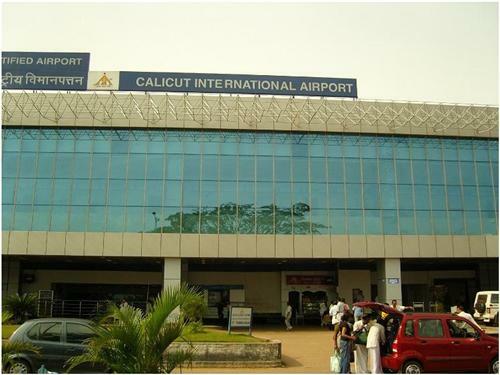 All you have to do when looking for a flight is select route for Calicut to Muscat and on which travel dates. FareHawker does the rest by sorting through the available flights and cheapest fares for those dates. Our results page will then display the available flights, cheapest prices, times and flight duration for your search. At that point, you just have to decide which of those tickets you wish to book, then enter the passenger and payment details, confirm, and pay for your tickets. It's that simple! All the tools and resources you need to make the most of your online booking and planning we guarantee the best pick. From the lowest fare to charter flight or even group booking we have it all round the year, book your next flight for best airfare. Gateway to Charming Arab World Oman is an Arab country located on the south eastern coast of Arabian Peninsula. Though there is no diversity in religion here, you will find a variety of tranquil landscapes and sceneries. The beauty of beaches, the history and intricate designs of forts, the lush green mountains, unique wildlife and endless deserts will give you a shot in the arm. You will find local bazaars or souks thrust with handicrafts and the most famous item of Oman-frankincense. Cleanliness along with strict laws will blow away your mind. Kind-hearted, helpful and law-abiding people add up to make this country a must-visit place. Muscat has always been a major port in the Gulf of Oman. This city has served as an integral trading link between the east and the west and Muscat is influential widely. In fact it is the largest city and also happens to be the seat of the government. Muscat includes six provinces or wilayats. Muscat has a multi ethnic society and has been witness to rapid industrial and infrastructural growth.